We made it easy for you, so you have no excuse not to come! Follow the link to buy your tickets. 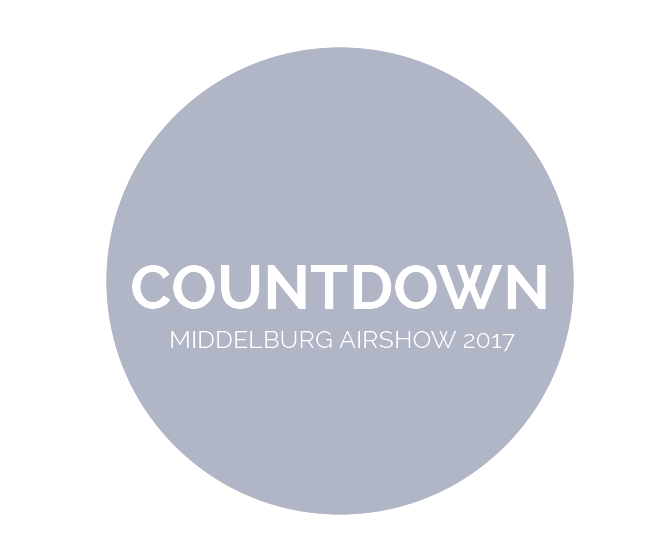 Measured by last year’s tremendous success, Middelburg Aero Club is proud to announce that we will be hosting the Middelburg Airshow 2017 on 24 June. This is definitely an event to look forward to, so SAVE THE DATE. There will be excitement and entertainment for all, young and old, aviator or not. We are looking forward to build on the success of the previous Middelburg airshow and host a fantasctic Middelburg Airshow 2017. In 2009 Middelburg Airshow was rated in the top 5 best airshows in South Africa. In 2010 Middelburg Airshow was rated the second best airshow in South Africa and in 2016 Middelburg was rated as the fourth best airshow in South Africa and attracted almost 12000 people. Middelburg as its name implies, is situated very central to many surrounding towns and mining communities and other industries. Any organised event is always welcomed and enthusiastically supported by all. 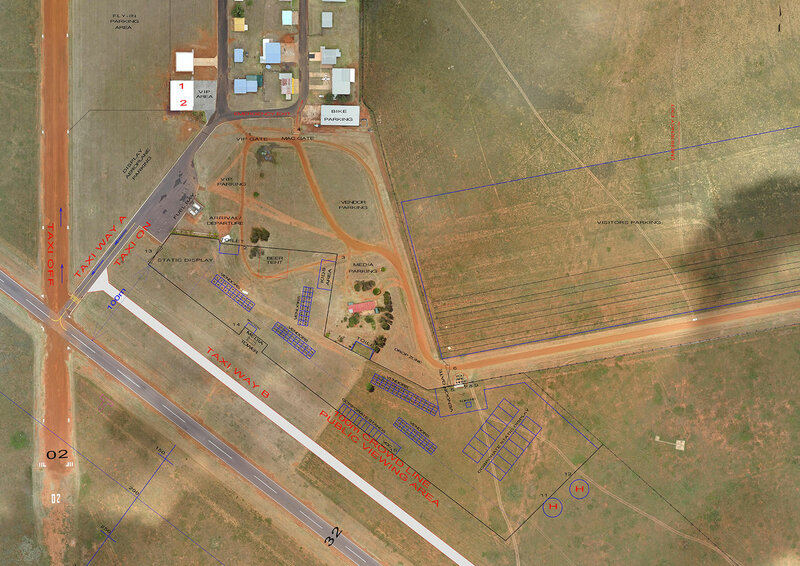 Middelburg Airfield is situated about 6km out of town and is a perfect setting for an Air Show. The runway layout is ideal and there is ample space for accommodating everything and everybody. Middelburg is also situated outside the major controlled airspace boundaries, which is ideal for such events but is yet not too far away from the main business centre in Gauteng to draw participation in the event. In flying terms, Middelburg is only 30-45 minutes away from large Airports in Gauteng. A healthy number of pilots and aviation enthusiasts are already excited and expected to fly in and visit our event. Although the programme has not yet been finalized due to the various confirmations and formalities that needs to be completed, we intend to present a full programme, which would capture the imagination of the whole family. The programme for the day will follow these guidelines. We will have a one hour lunch break and then continue displays up to 15:00. During the whole day there will be a helicopter doing flips for the public. During lunch, Special Guests, Sponsors and Display Pilots will be treated in a Host Area. Some of the Display Pilots are full-time Airline Pilots who practice Aerobatics as a hobby. Some of them have participated internationally in Air Shows and competed against the World’s best. The displays will be World Class. We have also contracted the well-known Capital Sounds to do the Air Show Commentary and to announce the programme and inform and entertain the spectators during the Air Show. They are a must at any Air Show and with their knowledge and experience of Aviation, they will keep the spectators informed and entertained. Should you wish to be part of this event, you can contact the responsible people below. Main sponsor will have their name linked to the Air Show name. Should you wish to become a sponsor, please find the Sponsor Application form on this page. In order to cater for the whole family as well as getting the community involved, we set aside a huge area where there is ample space for various stalls where everything can be bought. A special area for kids is also planned with jumping castles etc. to ensure that they will enjoy the day. Some local businesses will gladly grab the opportunity to do that extra bit of business. It is also our aim to promote Aviation and introduce the Middelburg Flight Schools and to promote Aviation as a career and/or a sport. Should you wish to become a vendor, please find the Vendor Application form on this page. Safety is of paramount importance in any Air Show event and is therefore governed by strict legislation to ensure compliance to the requirements of the Civil Aviation Authority. Part of the requirements is to be registered with (ASSA) Air Show South Africa and with (ACSA) Aero Club of South Africa and (RAASA) Recreational Aviation Association of South Africa. We already have approval and permission to use the airspace. All requirements from the above bodies will be met. All Display Pilots must have valid display ratings. A Flight Director, Safety Director and Air Traffic Controller will orchestrate the displays/aerobatic events according to Rules and Regulations to ensure a safe and enjoyable event for both the spectators and participants. Feel the excitement that an airshow brings.